Browsing Spain photos from my 2012 adventures in Spain is a great way to pass a dreary wet, cold week in Nova Scotia. Welcome to week 352 (12/7/2017) of Travel Photo Thursday. This week I’m sharing some of my most loved Spain photos. Join me on an eclectic visit to Spain through my eyes. January 2012 found me in Madrid for 10 days. The bone-chilling temperatures and short days didn’t stop me from making the most of my time in the city, and a few towns within easy driving distances. 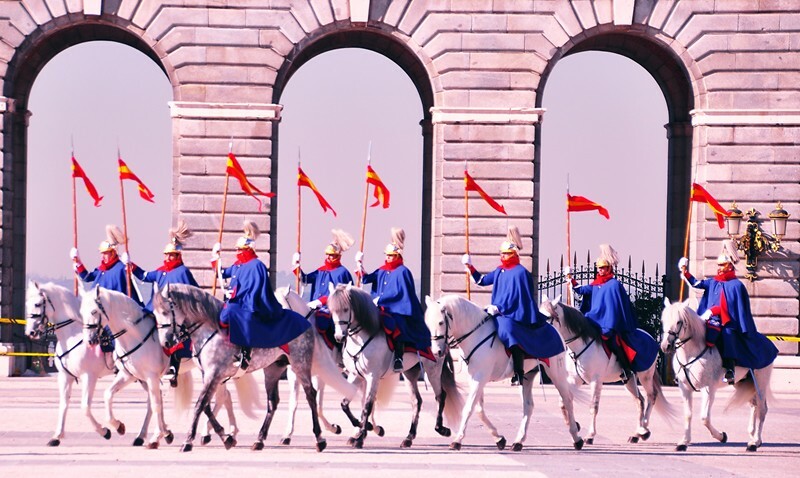 I always enjoy a bit of pomp and ceremony when I’m in Europe and the changing of the guard at Madrid’s Royal Palace did not disappoint. For me, one of the highlights of Madrid was the numerous world-class museums. 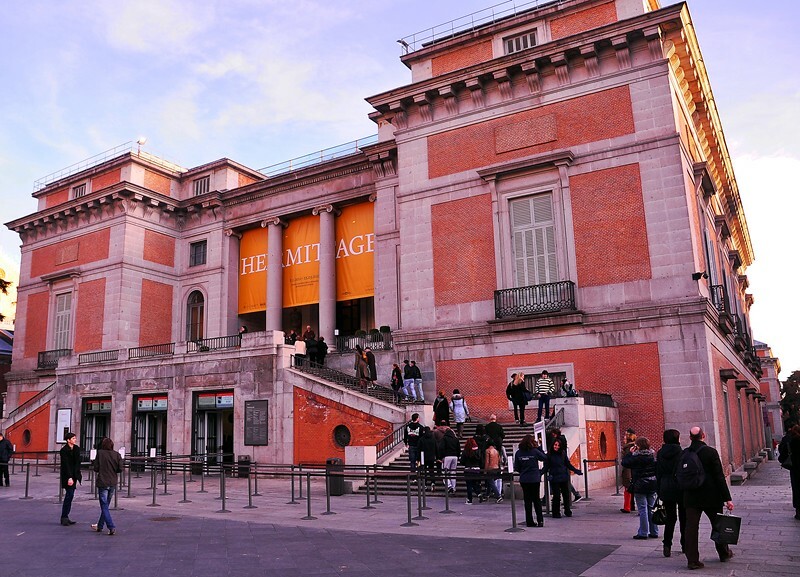 The Prado was my favourite, and during my time in Madrid, I was lucky enough to get free admission in celebration of the museum adding Monday opening hours to their schedule. In 2018, along with the permanent collection, there are currently a number of special exhibitions also available for viewing. One in particular that caught my eye is Ruebens Painter of Sketches; now until August 5, 2018. To skip the line-ups purchase your tickets for the Prado in advance. 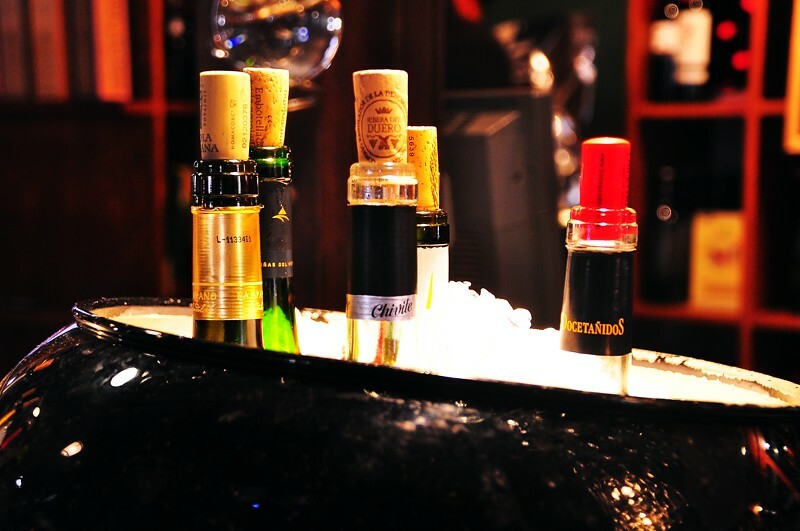 You can never go wrong with wine and tapas. I can still taste these olives after all these years. 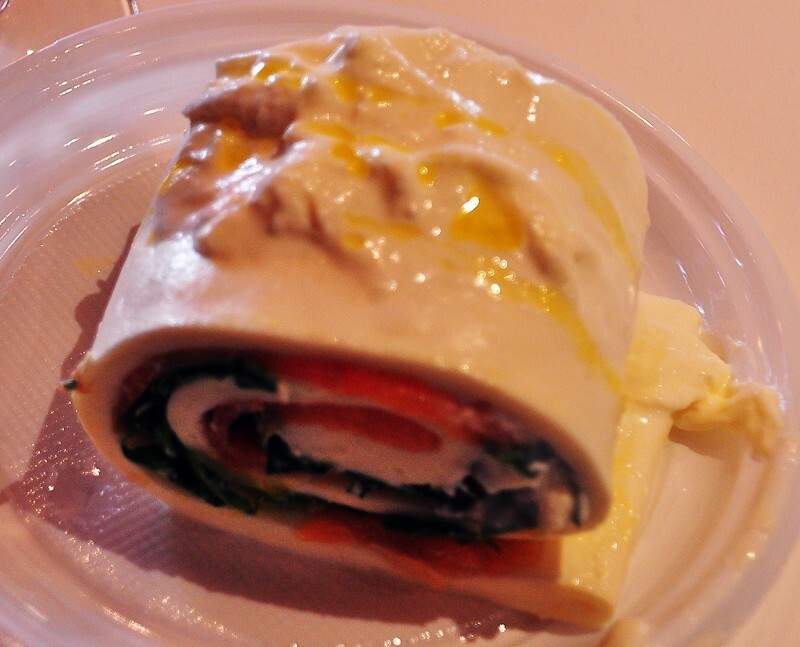 If smoked salmon and fresh mozzarella make you salivate, this is the dish for you. Rich and packed with flavour, your taste buds will love you forever. One of the many buskers who performed daily in Plaza Mayor. I would not want to meet this “guy” in a dark alley. 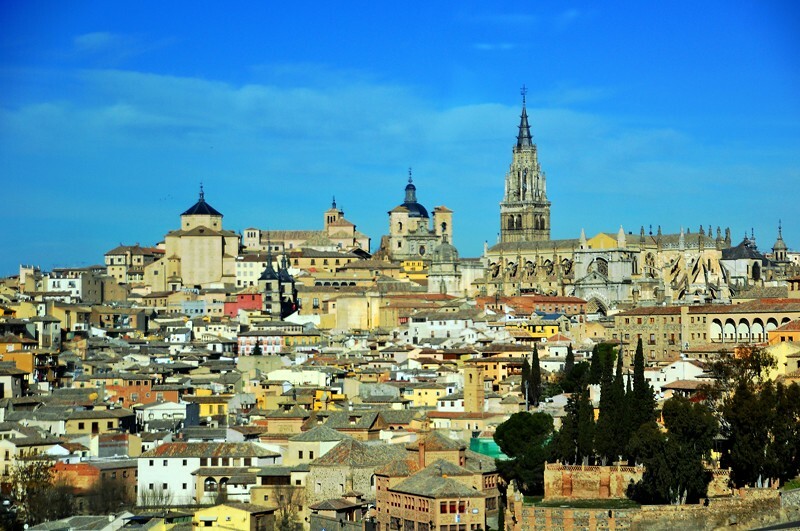 Toledo is an easy day trip from Madrid. The day was bone chilling cold, but the blue sky made for a lovely photo. Despite the cold, the town did catch my imagination, and I want to go back again to spend a few days exploring the narrow cobblestone streets and alleyways. 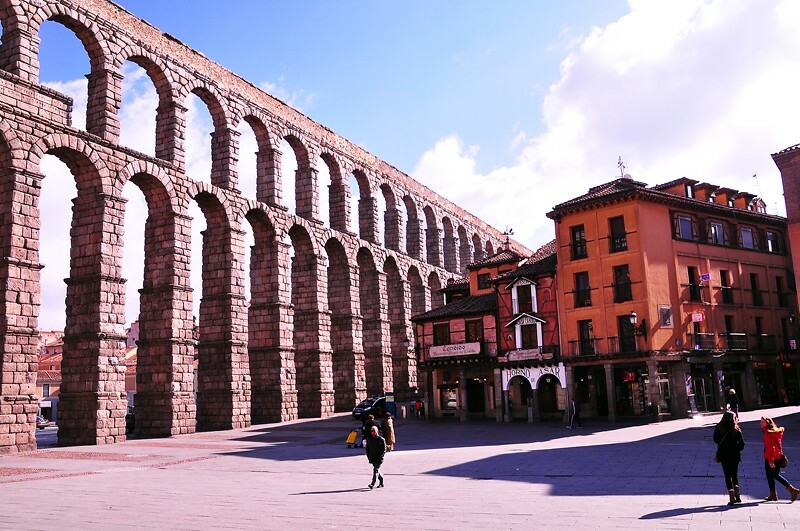 I also did a day trip to the ancient town of Segovia (a World Heritage City) and its centuries-old Roman aqueduct. One of my mantras for this particular Spain trip was bone chilling. Everywhere I went record-breaking cold temperatures followed me. Thankfully, sunshine often saved the day, even if it didn’t warm my cold hands and feet. Do you have a favourite town or city in Spain? Let us know in the comments. If you’re looking for more information on Spain, I recommend this Spain guidebook and map. 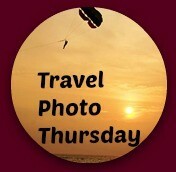 Filed Under: Spain, Travel Photo Thursday Tagged With: "#TPThursday", "Travel Photo Thursday"
Oh my, this got my travel bug activated! I love the photos and the inspiration you provided in this one Nancie! Nothing better than photos to wile away a rainy day! Love these Spanish cities! We really enjoyed visiting them too especially Segovia. That aqueduct is so impressive. 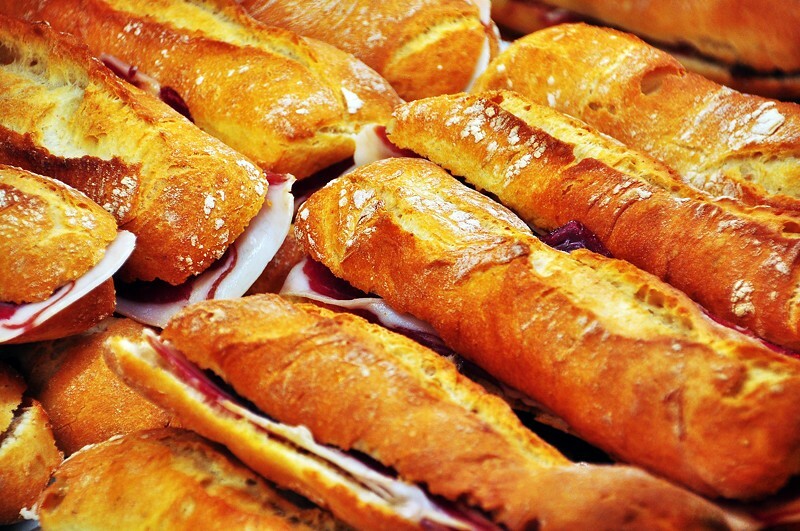 Those food photos have me salivating. 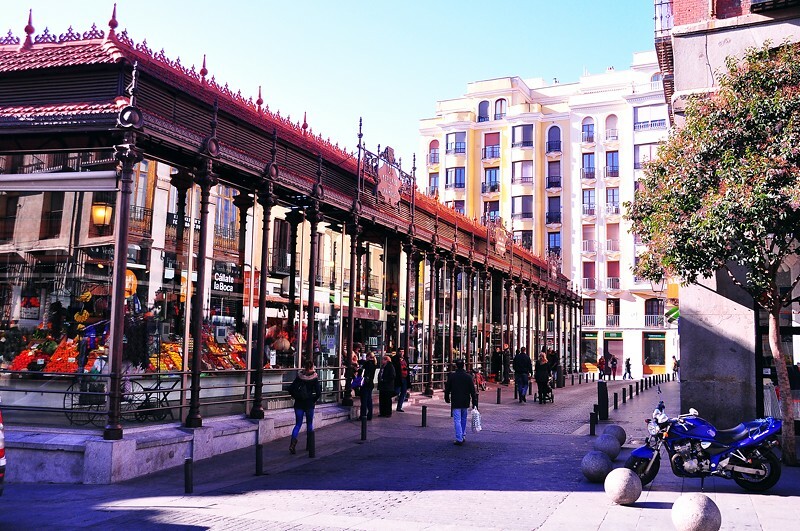 We spent a lot of time in Mercado de San Miguel and ate there everyday. Such great travel inspiration! The three cities you visited are some of my favorites. I missed the changing of the guards at the Royal Palace (I was there in the summer). I enjoyed temperatures up to 40C when I was there but I prefer the heat to “bone-chilling cold”. Love all the photos! Would love to get to Spain someday! We had a wonderful holiday in Spain and the Garrotxa county this last summer. Was a wonderful experience. Thanks for hosting. I haven’t been to Segovia but have been several times to Madrid and l would live there in a heartbeat. Toledo is also beautiful and l need to make a return trip there. Not too much of a hardship since we live in Valencia :-). Spain is one of my all time favourite places! I was in Madrid and Segovia this year and also took in Avila – all wonderful cities brimming full of history. I haven’t been to Toledo yet, but it’s on my list for next year. I adore Spain. So many wonderful flavours. Have enjoyed every locale I visited, which includes Madrid, Barcelona, Bilbao, San Sebastián, and El Ciebo. Would love to revisit all! I’ve not been to Bilbao, San Sebastian or El Ciebo, but I would love to see all of these Spanish town and then some. I do love Spain as well. I did so enjoy visiting the Prado in Madrid. Spain is filled with wonders. It really is. I never tired of the Prado or any of the museums I visited in Spain. Wow, your photos made me want to visit Spain so much, though it is long on my bucket list. 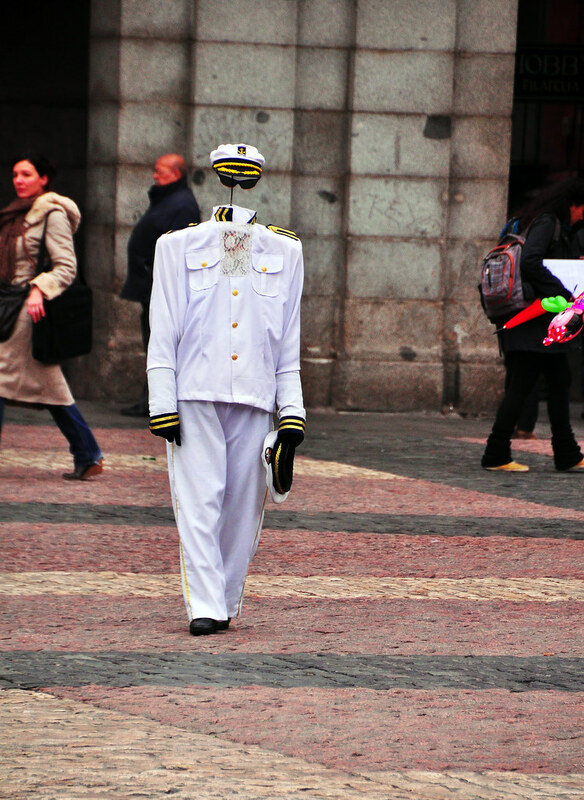 And seriously, I was shocked for a moment on seeing the pic of the headless man in Plaza Mayor. I would not like to meet him alone even in the morning! It is fun to go through your travel photos isn’t it, Nancie? Yours certainly show a lot of the highlights of visiting this part of Spain and I’m hoping that we can explore that area soon. Your food photos made me drool!  I definitely get how hard it is to make a choice between all the tempting dishes! Hi Anita! The only thing better than going through old photos is traveling to the same place again. Making food choices when traveling is hard but so much fun. I hope you’re settled into your new digs in Portugal. Spain has always been on the bucket list, Barcelona specifically. The food, the architecture, it all looks amazing! The food looks soooooo good! The whole trip itself looks amazing – thank you for sharing your special moments! I would love to visit Spain. We’ve had two different exchange students from Spain. One boy was from Madrid and the other from Majorca. I’m not sure if I’ll ever make it there, but these beautiful pictures are enough for now. Love the wine and food experience too! And it’s great to trave and capture awesome memories to look back upon! I love looking through holiday photos. It is like getting transported back to precious memories. Spain looks amazing through your eyes. I’m dying to visit Spain, so this just motivated me to look at airline tickets! Spain looks incredible. What beautiful photos. I just realized that the great Spanish guitar player, Segovia, has the same name as the city of Segovia. What beautiful and vibrant photos! Wine and pod ones are my favorite, but love the but horse ones too! Oh, I really love to visit Spain someday with my son. Your photos are so inviting. Hi Angela. Thank you. I hope you get to visit one day. Hi Adrina. Spain is a very special country. I never hesitate to visit. I have been to Europe but never in Spain. I would love to visit this country soon. I am enticed by your wonderful photos. Hope you enjoyed your trip. Hi Emman. I’ve been to Spain a couple of times, and I always enjoy myself. 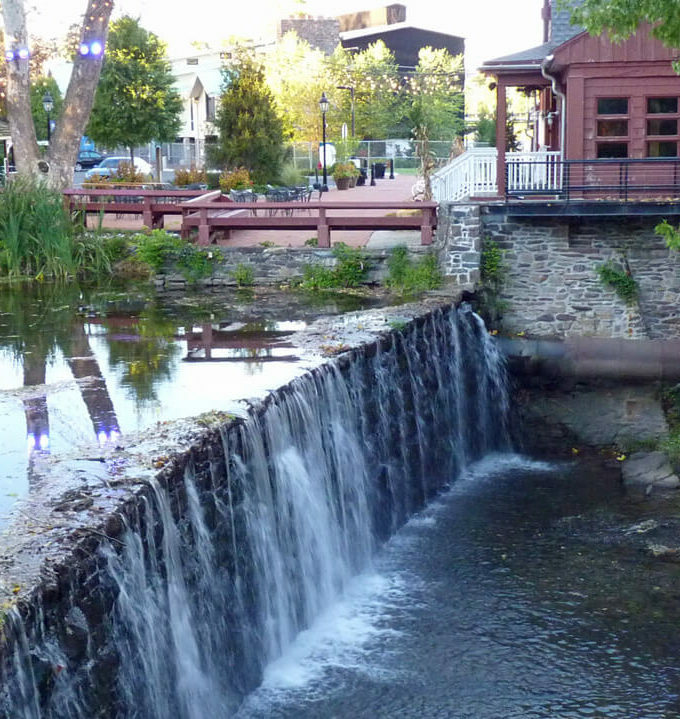 There’s so much to see and do and the food and wine are not to be missed. I have never been in Spain but many people says that one of the famous city to visit in that country is Madrid. I will definitely add this place on my bucket list and hope to be there someday! I spent 10 days in Madrid a few years ago. I loved getting to know the city, so much to see and do. Lovely photos and additional comments. 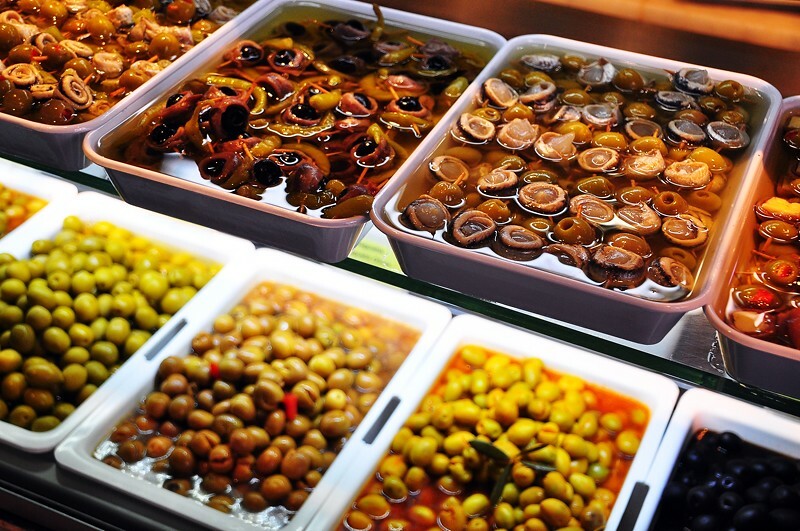 I love the idea of some wine and olives right now after reading this! I ah ent been to Spain for years, hope to return one day! I love traveling around Spain, and I long overdue to return, too. 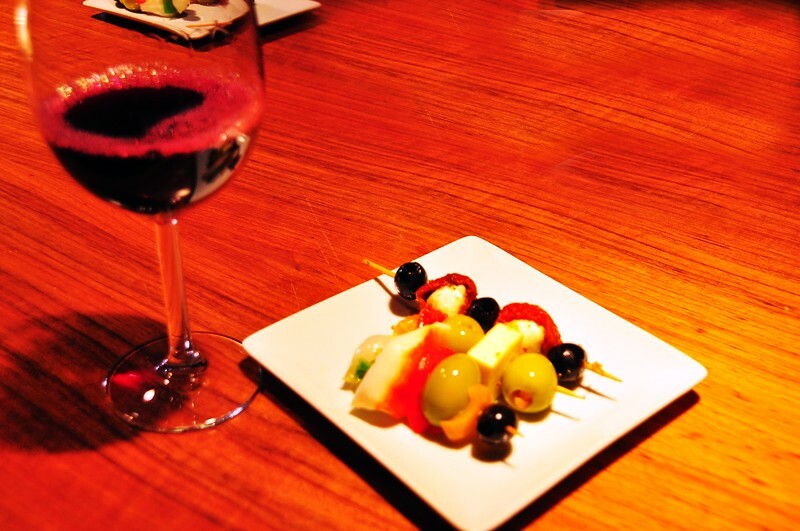 Nothing like Spanish olives and wine. What a great place to visit. I would love to go here one day. I went to Spain during high school for a week and it was truly amazing. My favorite place was Barcelona and Madrid. Glad you had a great time. Hi Kayla. I’ve spent time in both Madrid and Barcelona, and, like you, I loved both cities. Madrid has such wonderful museums. I went to the Prado almost every night. I love the vibrancy of Barcelona. I actually have Spanish heritage in my ancestry. I’ve always wanted to go explore the culture and the food.